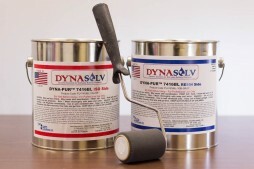 DYNA-SEAL is a multi-purpose elastomeric coating used from the roof to the foundation. It is a clear elastomeric roof coating or roof sealant that adheres to asphalt shingles and other roof materials. (Not for use on EPDM rubber). 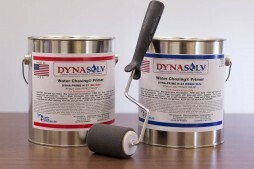 Use as a waterproof coating for many materials that require a waterproofing or a protective coating. 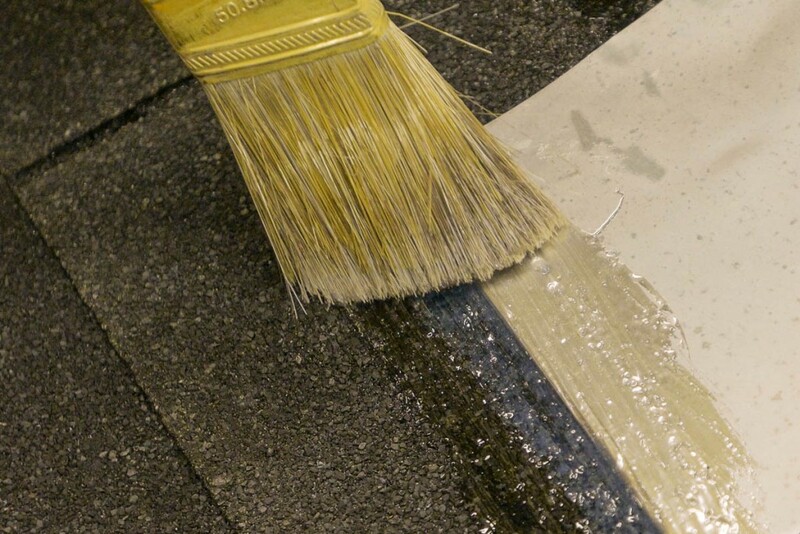 It will stop a leak on contact, it can be applied on wet surfaces in below freezing temperatures. 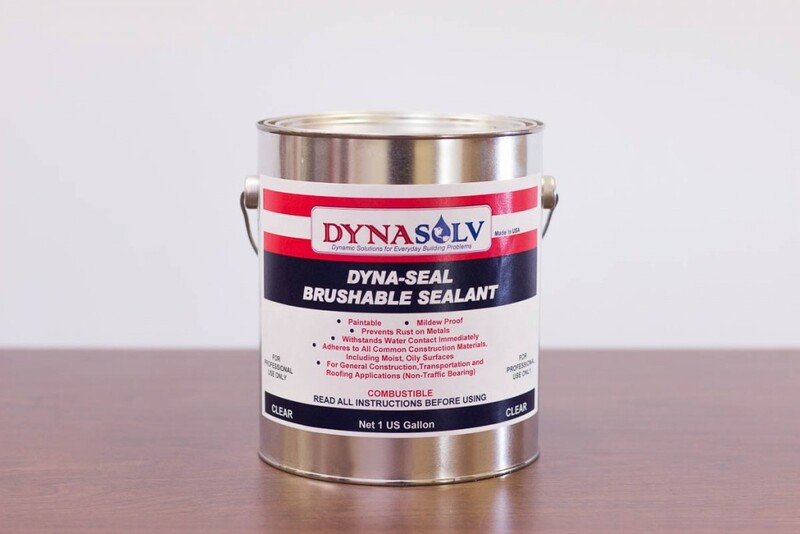 Use on concrete, brick, block, and stone surfaces as: chimneys, foundations, sills, retaining walls, storage tanks, catch basins and other non-trafficked surfaces. 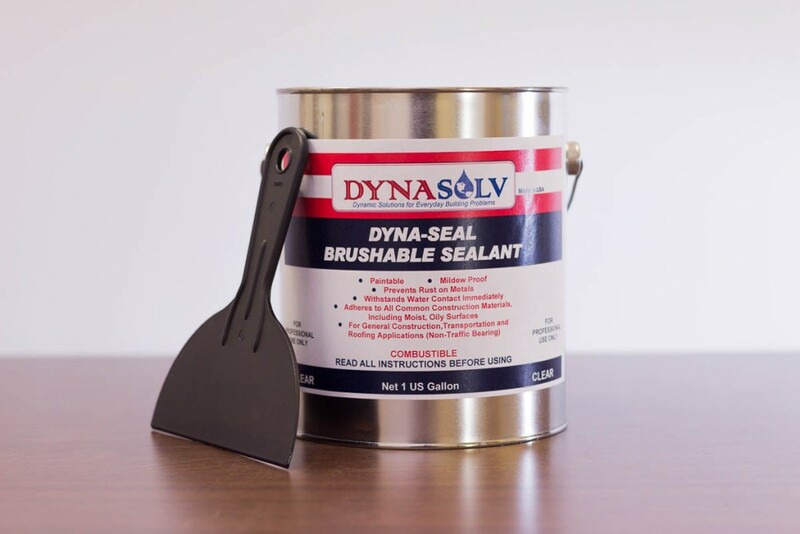 DYNA-SEAL seals and rust proofs all metal surfaces and will clear coat copper. 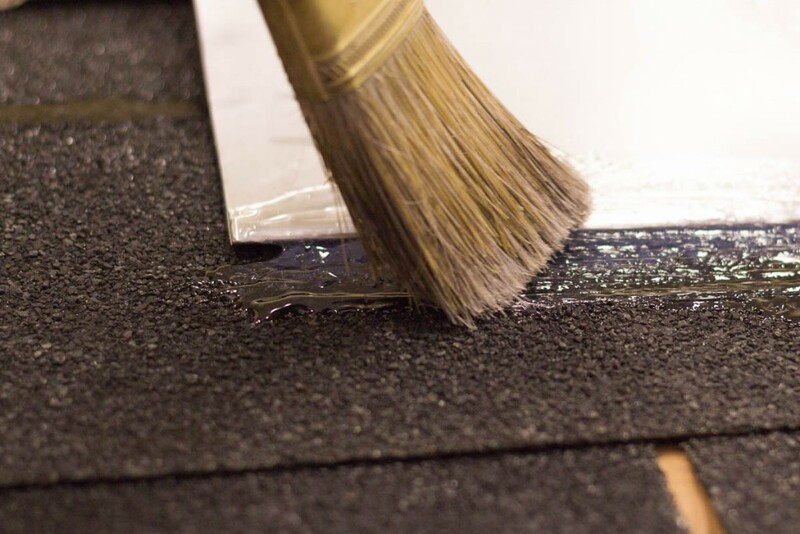 It also seals and waterproofs wood, asphalt surfaces, marble, ceramic tile, fiberglass, plastics, and glass. 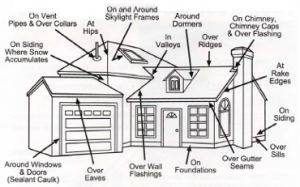 An easy to apply construction grade roof coating material! Even in cold winter weather! Can be applied on a damp roof (no standing water). Can be applied in temperatures as low as 0 degrees Fahrenheit. Immediately stops water where applied. The clear color matches every roof color*, and leaves a gloss finish where applied. Adheres to asphalt shingles, wood shakes, and shingles, and tile roof materials. (Not to be used on EPDM rubber). 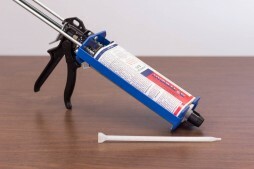 Recommended for joints and seams wherever dissimilar materials meet. 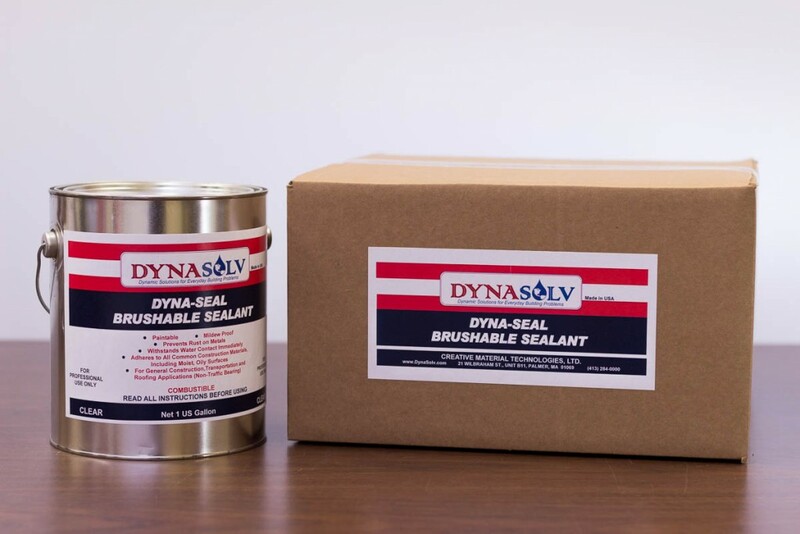 DYNA-SEAL™ is a great multi-purpose elastomeric coating or sealant consisting of two products that work together. 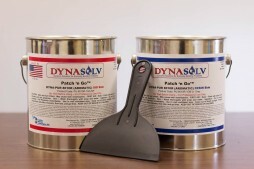 DYNA-SEAL™ brush-able elastomeric roof coating for roof leak repairs. 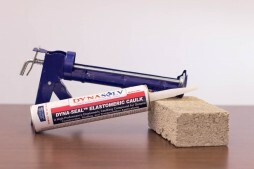 DYNA-SEAL™ elastomeric exterior caulk for filling joints and cracks wider the 1/16 inch. The two products exhibit excellent adhesion to each other. But they can be used separately. 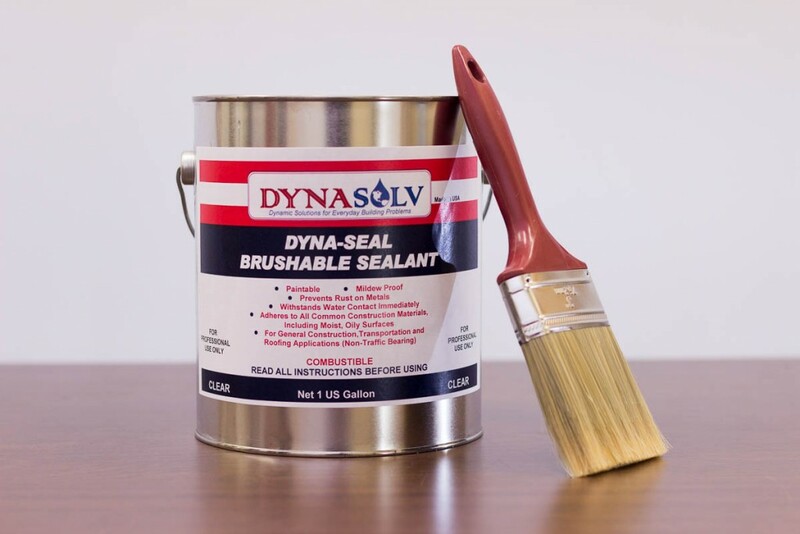 DYNA-SEAL adheres to most common construction materials. It can be used most anywhere that water damage can occur. 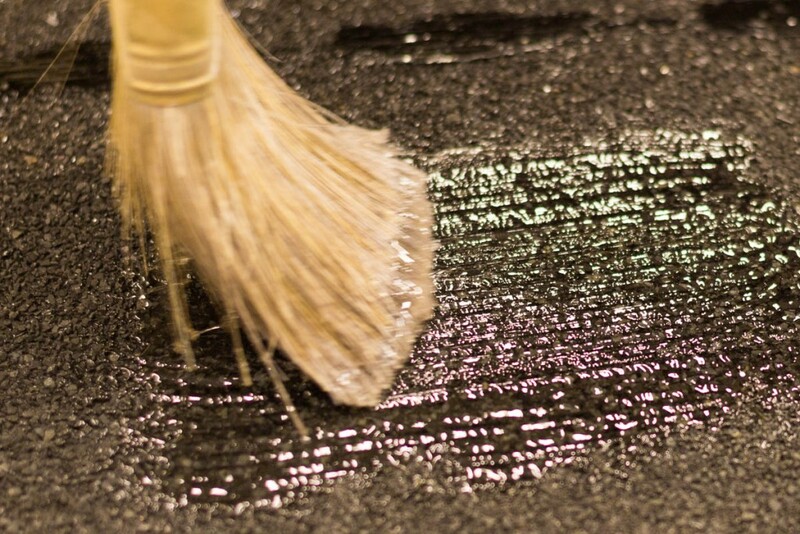 No more ugly black tar or asphalt patches! 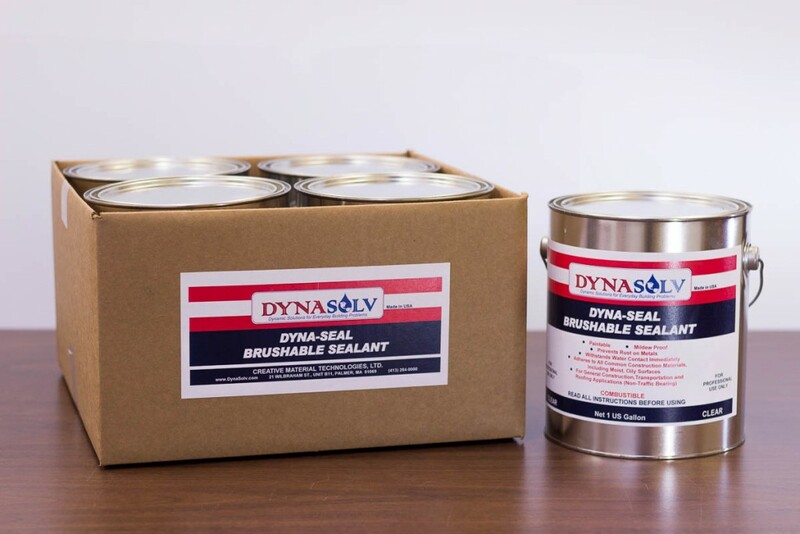 DYNA-SEAL seals and waterproofs as well as moistureproofs**: Concrete, Brick, Block, and Stone surfaces such as: Chimneys, Foundations and Sills, Retaining Walls, Storage Tanks, Catch Basins, and other Non-Trafficked Surfaces! 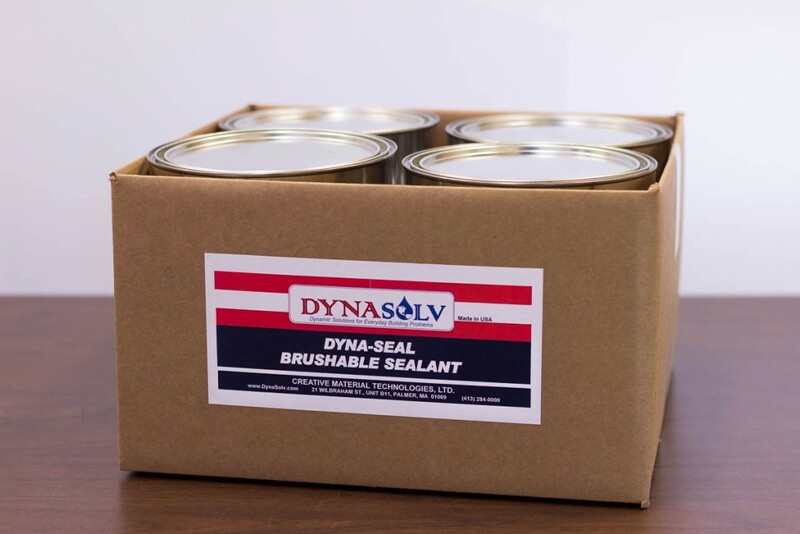 DYNA-SEAL seals and rustproofs all metal surfaces and clear coats copper. It seals, protects, and waterproofs Wood, Asphalt surfaces, Marble, Ceramic Tile, Fiberglass, Plastics, and Glass. * Not for use on EPDM rubber, and not recommended for white shingles. Smooth (i.e. Sheet Metal) 1/16″ (62 mils) 100 sq. ft.
Porous (i.e. Wood Shingles) 1/16″ (62 mils) 25 sq. ft. I used this product for commercial and personal use, in cold weather and hot, and it always performed flawlessly. It provided strong bonds with a variety of different surfaces. This is the best product I’ve used so far. I used it on my roofs instead of tar-based products. It is easy to apply, holds very well, and it will be the only product I am going to use… I like that it is transparent. I applied your product to where my shake shingles meet the asphalt roof shingles and the snow sits, melts, and is absorbed through the bottom of the shakes. This was done last fall and the shakes appeared dry this spring… I also applied some on my chimney flashing instead of the black mastic sealer… I like that it is applicable with a brush rather than a putty knife…it is great stuff! I would recommend this sealant for most all applications. Being able to use it even in damp locations makes it nice. I like its ability to cover and seal. Worked well on metal & metal roofing to stop leaks. 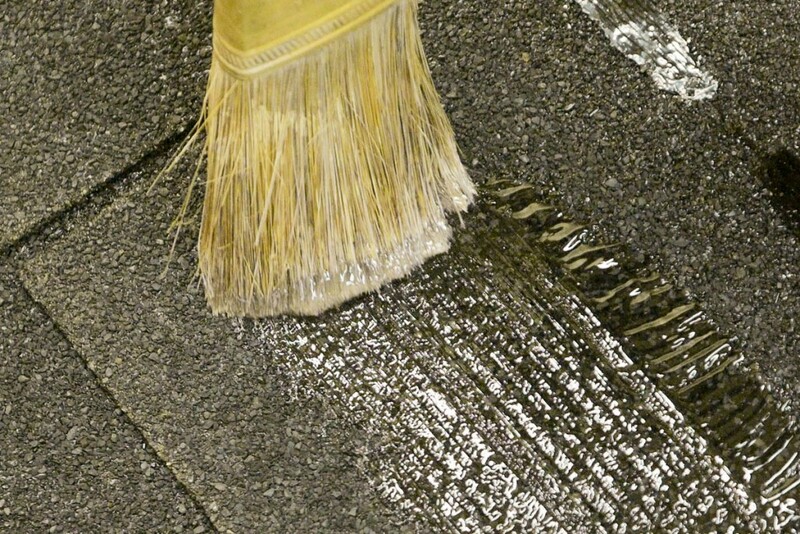 Also worked well on asphalt patching… overall product is very good for difficult jobs. I was really impressed with the versatility of this product. It can be used virtually anywhere…It did take time to apply because of its thicker consistency but I guess it has to be thick to be durable. It is easy to clean up and has minimal odor. This spring I found a crack in my camper roof… (I used your sealant to fill the crack) I checked it out after we had a hard rain and high wind. there was no water or any sign of separation. It is very workable.